This is a little bit random, but we stumbled across this image and just couldn't stop looking at it! 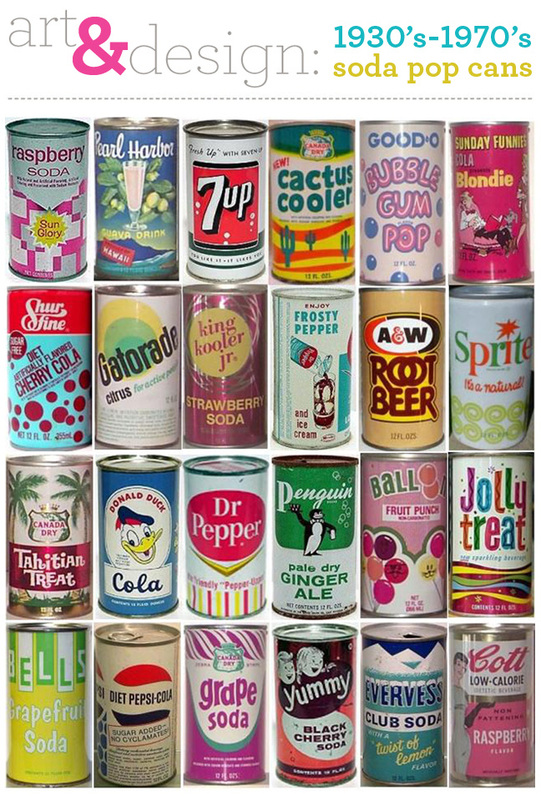 We love vintage graphics and these soda pop cans from the 30's through the 70's are no exception. They pack in so many typographic treatments, illustrations and whacky color that, for us graphic designers, it's like sensory overload. love it! I'll take a "jolly treat" or "bubble gum pop" please!